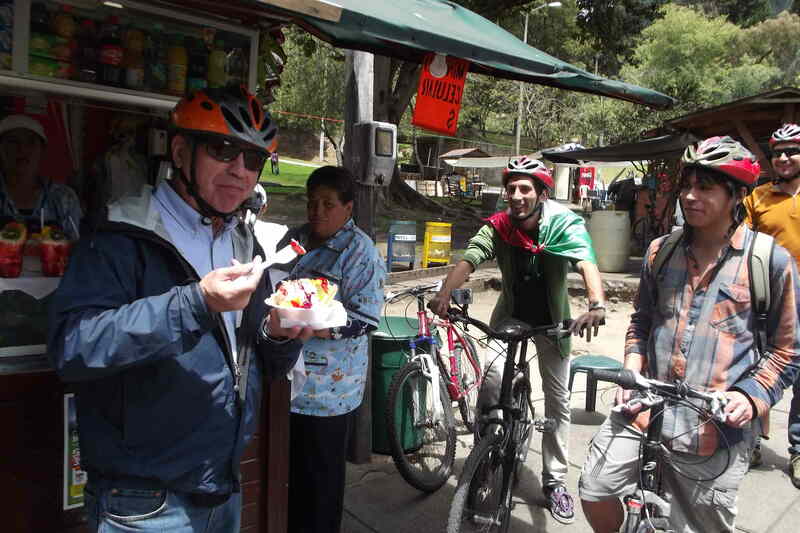 Enjoying a fruit salad in Bogotá’s National Park. 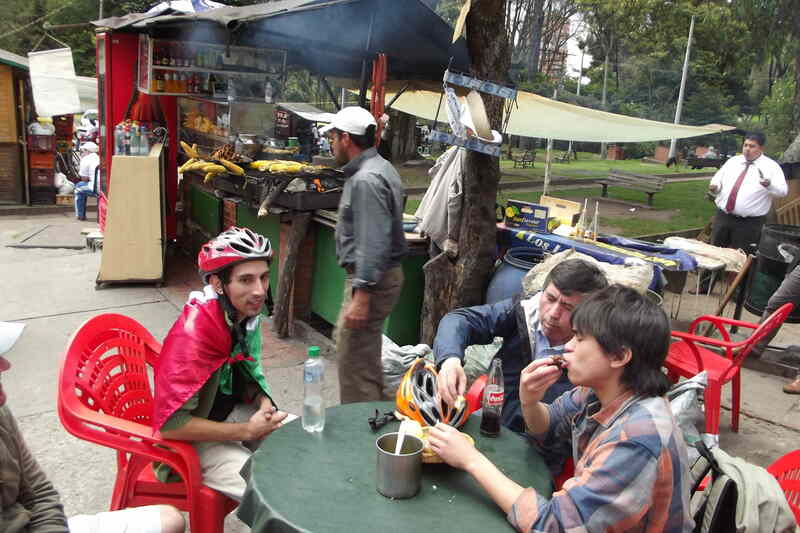 During our bike tours we don’t usually sit down for lunch. But there are opportunities to fill one’s stomach – often with traditional Colombian food. 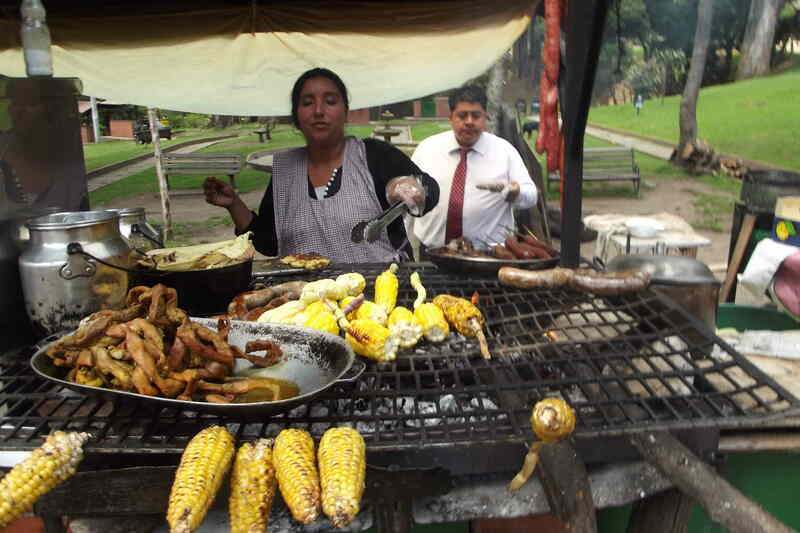 Corn and meat for sale in Bogotá’s National Park. 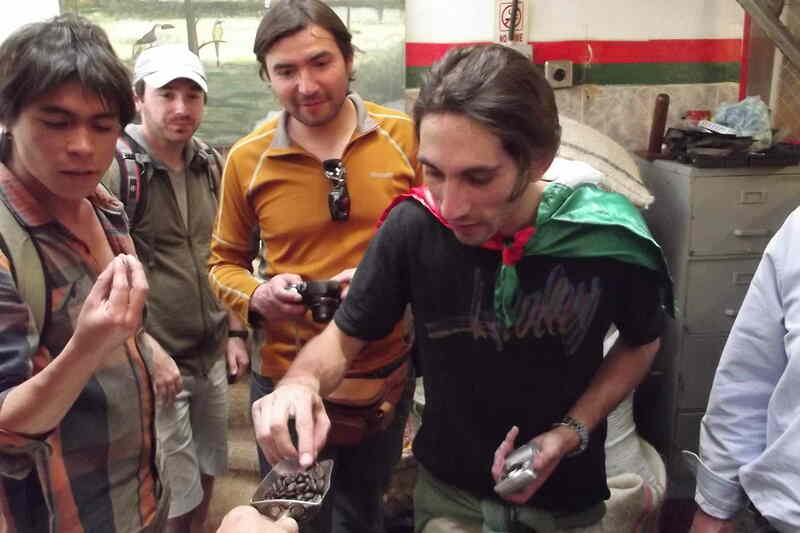 Tasting fresh-roasted Colombian coffee beans at Cafe de la Fonda. 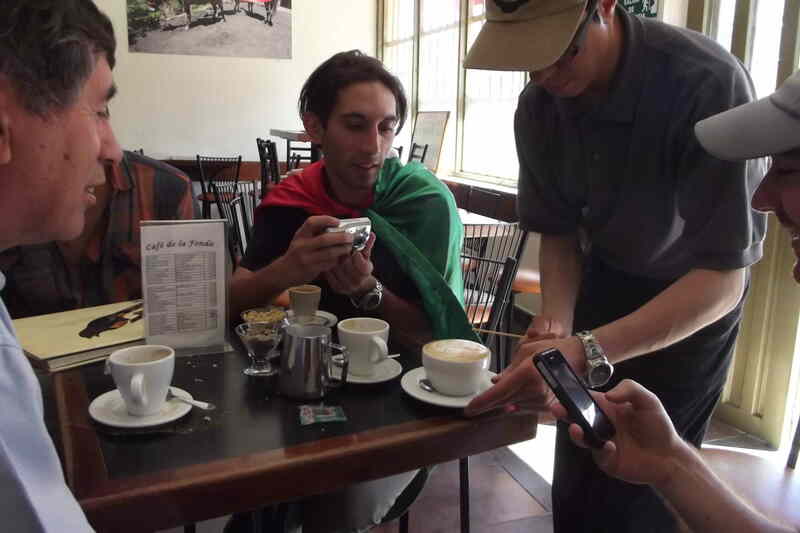 Esteban, the barista at Cafe de la Fonda, draws an American Indian in a cup of fresh Colombian coffee. 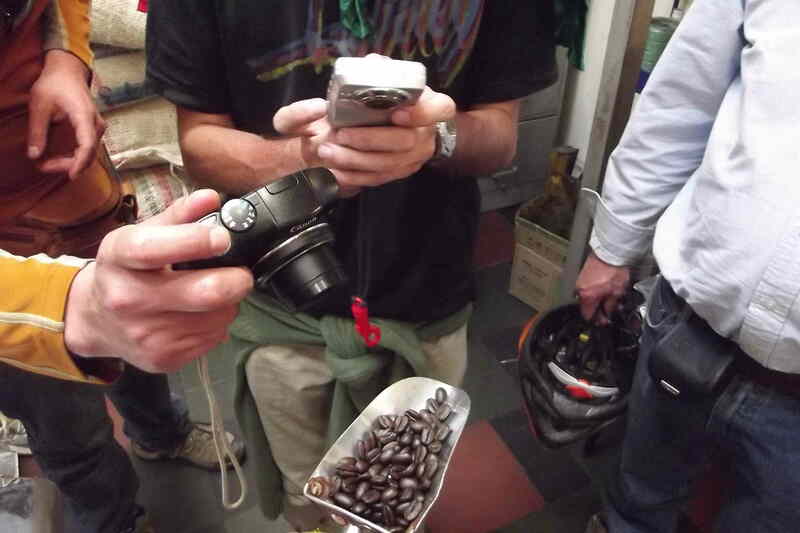 Photographing just-roasted coffee beans at Cafe de la Fonda. 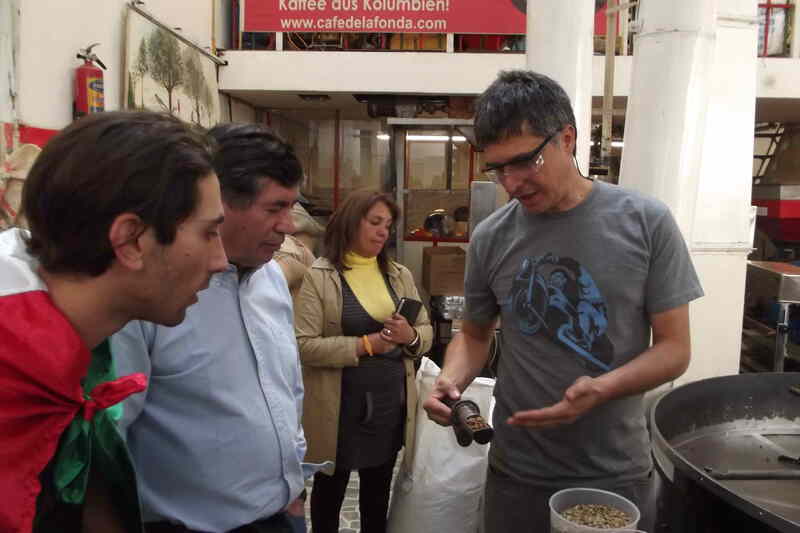 Cafe de la Fonda owner Julian explains the details of roasting coffee beans just right. 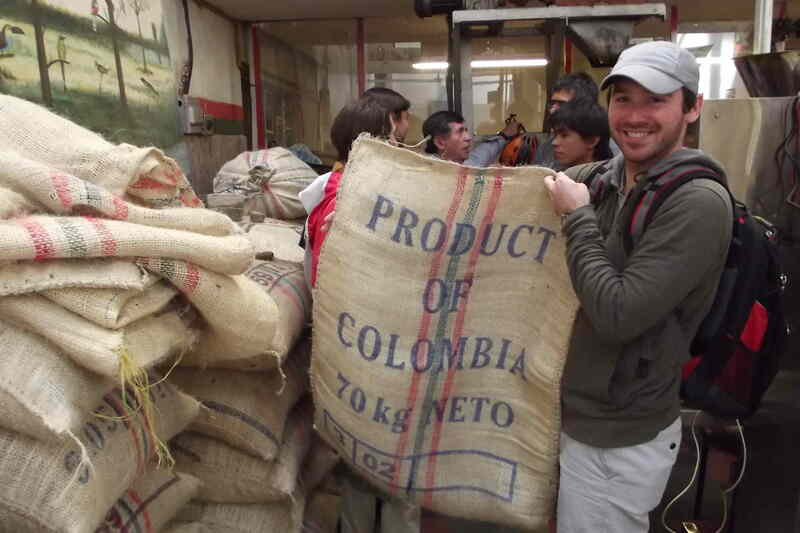 Showing off a Colombian coffee sack. 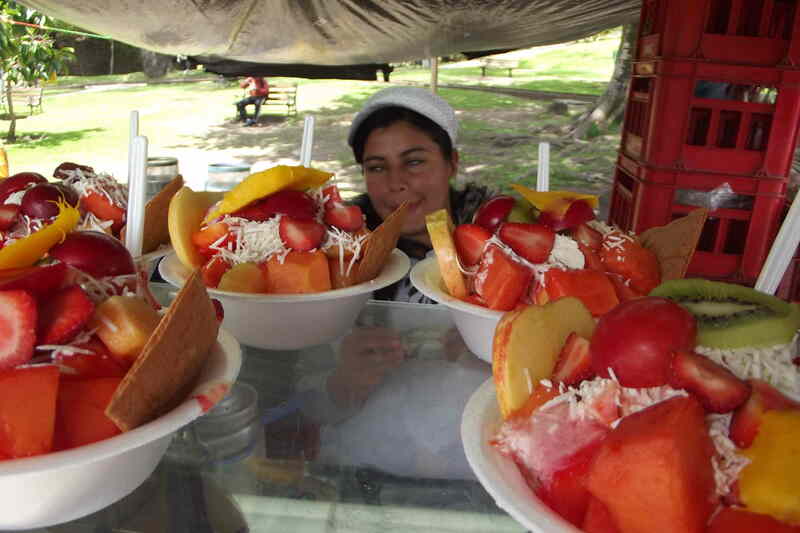 Fruit salads decorated with cheese in Bogotá’s National Park. Eating Colombian style in the National Park.